Capcom’s upcoming Resident Evil 2 is a ground-up remake of the 1998 classic, built using Capcom’s RE Engine. The RE Engine is the same graphics engine used in Resident Evil 7: Biohazard. 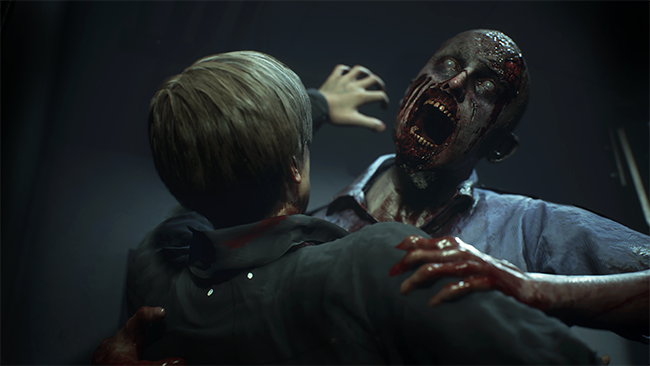 The Resident Evil 2 demo “One Shot” has been played over 1.4 million times, according to Capcom. The Resident Evil 2 release date is January 25, but you can try out the 30-minute demo until January 30. Preordering Resident Evil 2 unlocks special weapons for both Chris Redfield and Jill Valentine: the Samurai Edge handguns. Resident Evil 2 is coming to PS4, Xbox One, and PC. The standard edition of Resident Evil 2 is available for $59.99 on PS4, Xbox One, and PC, and includes the base game. If you’re getting Resident Evil 2 for PC, Green Man Gaming has both the standard and Deluxe Editions on sale if you preorder now. Green Man Gaming also has the PS4 digital standard and deluxe versions marked down 7%. The Resident Evil 2 standard edition costs $59.99 at Amazon and doesn’t qualify for Amazon’s $10 Prime credit. Walmart only carries the standard edition of Resident Evil 2 online. It qualifies for free 2-day shipping or free in-store pick up. Best Buy is the only retailer with something extra to add to entice you to preorder. In addition to the weapons preorder bonus, you also get a special edition steelbook case. GameStop is the exclusive retailer for the Resident Evil 2 Collector’s Edition, available for both PS4 and Xbox One.